Product prices and availability are accurate as of 2019-04-14 17:45:26 UTC and are subject to change. Any price and availability information displayed on http://www.amazon.com/ at the time of purchase will apply to the purchase of this product. 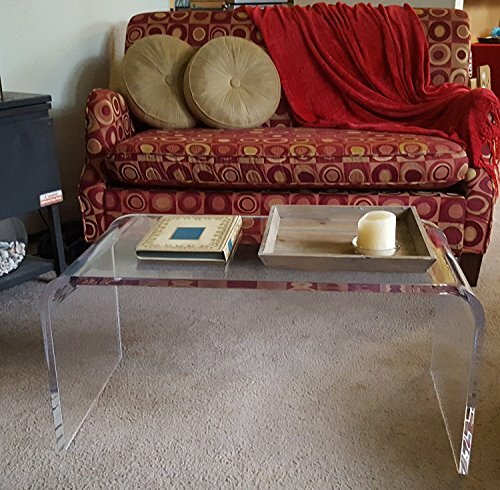 32" long, x 16" wide, x 16" high x 3/4" clear acrylic cocktail or coffee table. 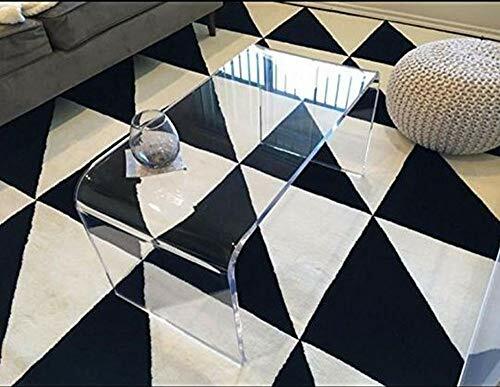 Totally clear furniture like this has, a design purity that even glass tables, with their green surface tint and dark green edges, just don't have. The thicker 3/4" thick material is used instead of the 1/2" you almost always see, from other vendors. We use the more premium grade domestic (made in USA) material, that is thicker and clearer. It can be used as a bench. 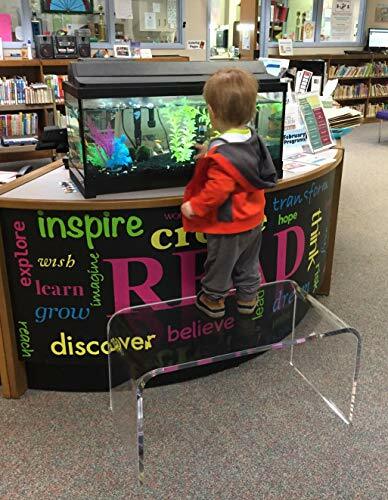 Expanded view has a sequence image of a 200 pound kid standing on this table. Edges are chamfered, or slightly rounded over, so not sharp. Carpet/rug colors show without any color tint. Disregard "Include assembly service", there is no assembly required. 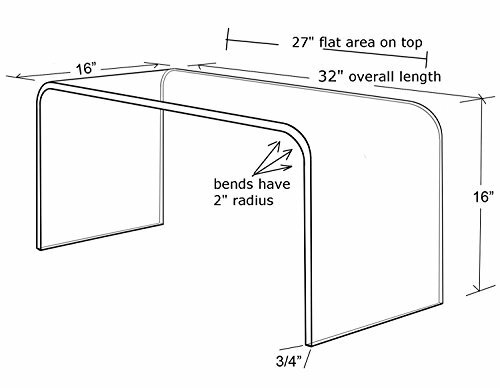 Overall length is 32" but 2" radius of bends, reduces flat area on top to 27" long. 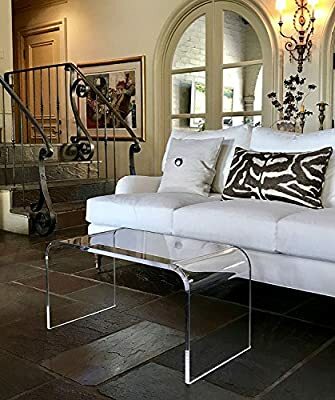 Please check item dimensions and intended area for placement, (32" long), before purchase, as I have other acrylic coffee tables, 40", 44" and 50" long. 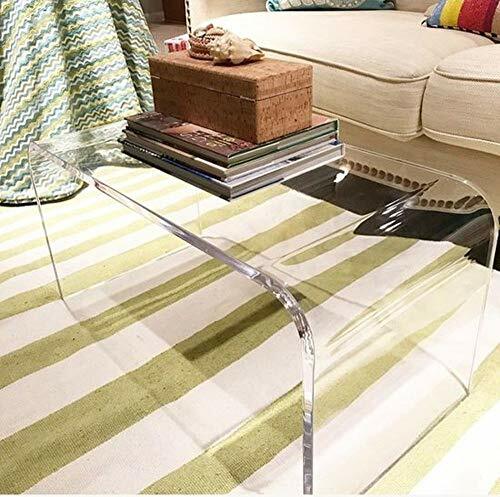 Other size clear coffee tables are at our store: click the link "southeastflorida" at top of page. To avoid the look of clutter and jumble, these tables are a welcome pure form. This durable, practical design, has stood the test of time. Please check your location to be sure 32" long is adequate. Images demonstrate the exceptional edge brilliance, of the premium, made in USA material. 32" long, x 16" wide, x 16" high x 3/4" thick - can be used as a bench, see expanded view image Carpet colors show right through without any tint, nice effect. Disregard "expert assembly", there is no assembly required.